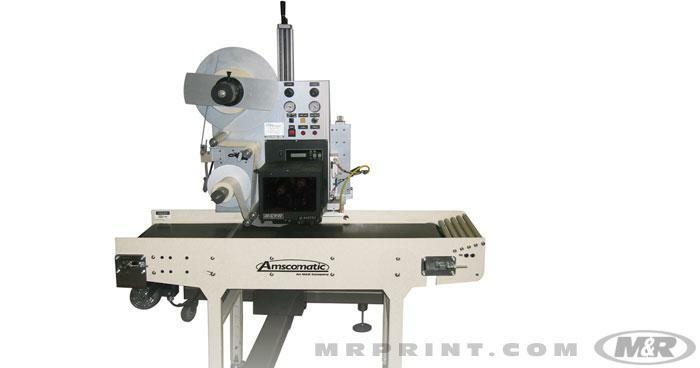 Amscomatic’s wide variety of garment finishing equipment includes automatic folding machines for T-shirts, sweatpants, and other garments. 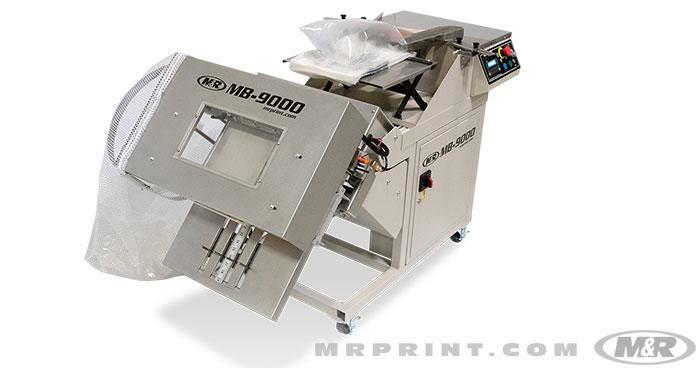 M&R's AB-9000 high-speed Automatic Bagger quickly pays for itself by streamlining the bagging process, eliminating costly, inefficient manual bagging and sealing. 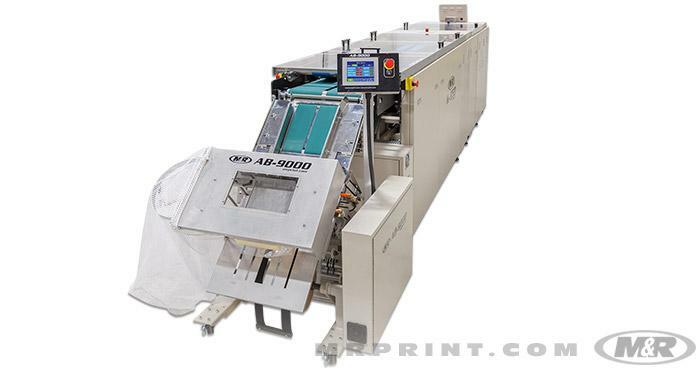 In fact, when coupled with M&R's K-950 folder, a single operator can fold and bag up to one-thousand garments per hour. 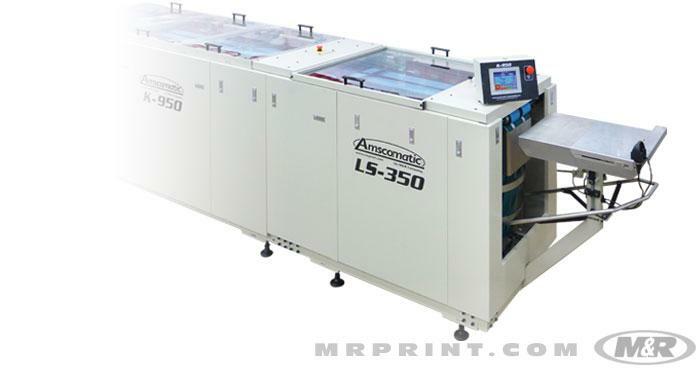 That's far faster than two operators could fold and bag using traditional methods. 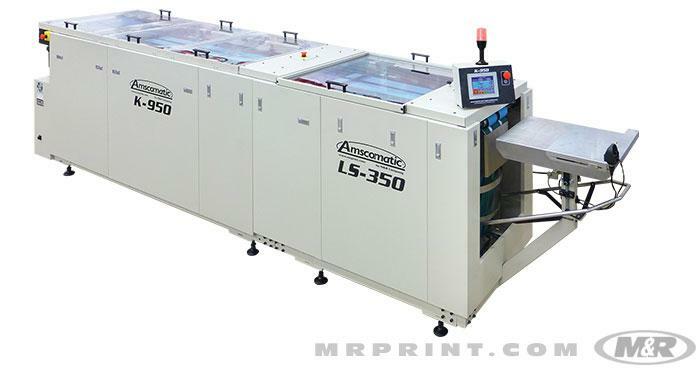 The L-15H™ is automatically applies labels virtually anywhere on the front of folded garments as they pass through an automatic folding machine. 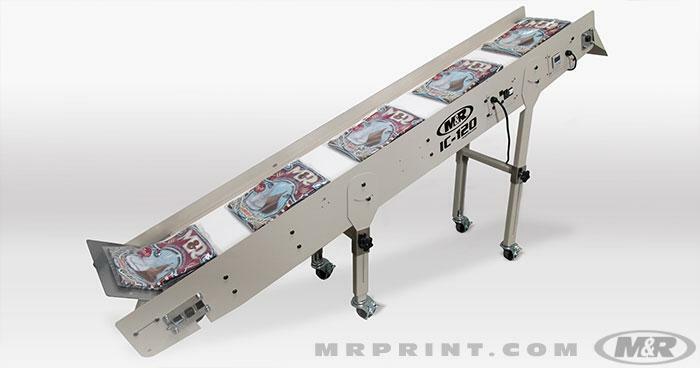 The IC-120 freestanding conveyor is designed to accept materials from M&R’s bag loading/sealing systems and other packaging machines, with adjustable delivery height and conveyor angle, the IC-120 is a quick and easy way to transport products increasing the speed and automation of your finishing/packaging lines. 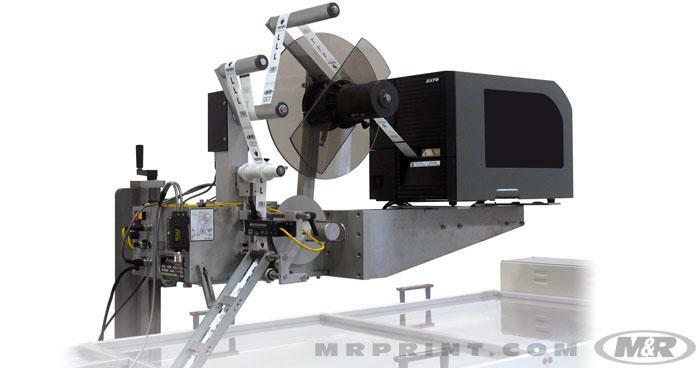 The MB-9000™ is the latest in M&R’s line of affordable semi-automated bagging/sealing machines. 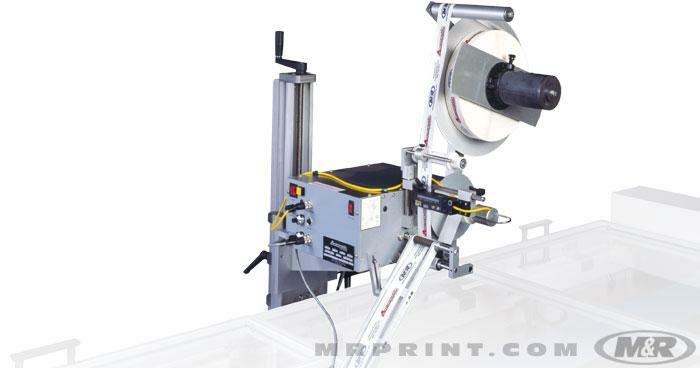 With its compact design and easy setup the MB-9000 is the logical choice for all your small to mid-size garment bagging/sealing needs.